To succeed in business today, you need to be flexible and have good planning and organizational skills. Becoming a millionaire doesn’t happen overnight. Many people start a business thinking that they’ll turn on their computers or open their doors and start making money, only to find that making money in a business is much more difficult than they thought. It takes vision, dedication, and a little bit of luck. SM also holds the largest mall in the Philippines and Southeast Asia which is the SM North EDSA with a daily foot traffic average of 950,000 people, adding up to 350,000,000 people a year. Not only has it been a very successful investment in the Philippines, but it also has 7 malls in China, including SM Tianjin which is the second largest in the world in terms of gross leasable area (GLA). Mariano Que started out as an employee in a drugstore before World War II. After the war, he saw the need for sulfa drugs and grabbed the opportunity. A surplus of antibiotics from war-time supplies and a booming demand from the masses fueled his business model. Upon the invitation of Ayala Corporation, Mercury Drug opened its second branch in May 1963 at a developing commercial center in Makati now known as the Ayala Center. Today, Mercury Drug is the country’s quintessential pharmaceutical establishment with quality products at affordable prices. Mercury Drug has reportedly over 1,000 branches across the country. Recently, it opened a new building, MDC100, located in Eastwood City, Quezon City. At a young age of 18, Ms. Socorro, also known as Nanay Coring, worked for the iconic Goodwill Bookstore in Escolta. It wasn’t until after she married Jose Ramos that Nanay Coring put up her own. After much adversities, the couple finally established their footing in the industry when they procured licenses from Hallmark and publishers like McGraw-Hill and Prentice Hall to print affordable textbooks. National Book Store became one of the top 100 Philippine corporations in 1988, registering profits of $1 million on gross revenues of $34.7 million. The book store chain also became one of the Top 500 in the list of Retail Asia-Pacific, ranking 308th in 2004. With the pending entry of National Book Store into the Philippine Stock Exchange through the renaming of Vulcan Industrial & Mining Corp., another Ramos-owned company, into National Book Store Retail Corp. they now also venture into wholesale, publishing, printing, manufacturing, and distribution. Today, Nanay Coring’s P211 investment has more than over 230 branches nationwide. Bank of the Philippine Islands, commonly known as BPI, is the oldest and country’s third largest bank in terms of assets. It is also known as the most profitable bank and largest bank considering the market capitalization. In 1982, BPI became a universal bank, and in 2000, became the Philippines’ first bank assurance firm, being the first Philippine bank to offer insurance services after acquiring the insurance companies of the Ayala Corporation, the parent company of the Ayala Corporation. Within that year, BPI also founded the BPI Direct Savings Bank, an Internet bank, which launched BPI into 21st century banking. Now BPI is a universal bank in the Philippines. 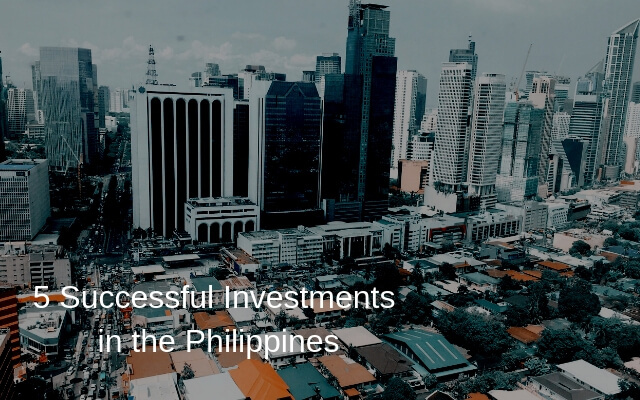 It is the third largest bank in terms of assets, the second largest bank in terms of market capitalization, and one of the most profitable banks in the Philippines. Who wouldn’t know the global Filipino brand Jollibee? Tony Tan Caktiong’s smiling red bee dominates the fast food scene and is now hailed as Asia’s most valuable restaurant chain. At 22, he seized a franchising opportunity with Magnolia Dairy Ice Cream and opened two ice cream parlors. In response to customer requests, he added hot meals and sandwiches to the menu, which soon proved to be a lot popular than ice cream. Jollibee experienced rapid growth. It was able to withstand the entry of McDonald’s in the Philippines in 1981 by focusing on the specific tastes of the Filipino market, which differed from the American fast food company. As of April 2018, JFC had a total of about 1,200 Jollibee outlets worldwide with presence in Southeast Asia, the Middle East, Hong Kong, North America, Italy, and the UK in London.